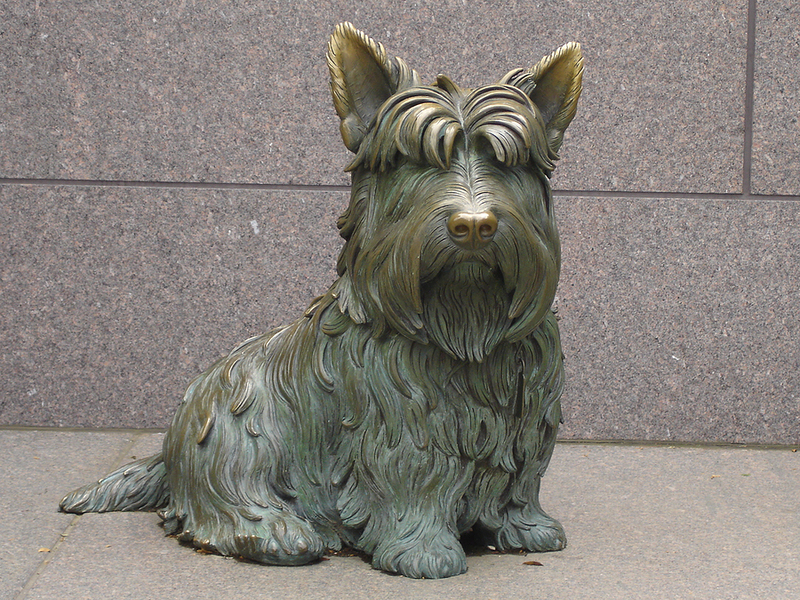 For us, the most famous Scottie of all has to be Fala. Owned by President Roosevelt, this must be the first Scottie I read about after deciding that Scotties were going to own me. Here, briefly is the story of Fala, though no doubt you all know it by now, so forgive me if I’m about to bore you! 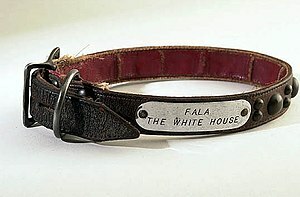 Fala was born in early April 1940 and came to be the beloved companion of President Roosevelt through the machinations of a cousin of his. 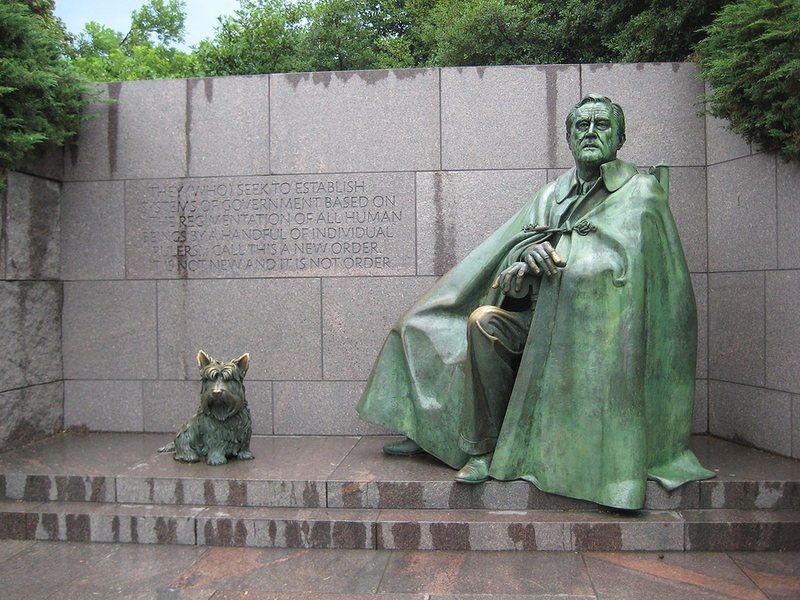 Fala had two earlier names: Big Boy before joining the White House, and Murray the Outlaw of Falahill, given to him by the President, but shorten to the name Fala that we have all come to know. 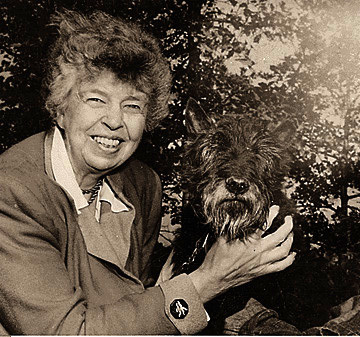 Fala accompanied the President whenever possible. Even in death, in 1952, he lies buried next to the Roosevelts in the rose garden at Springwood.